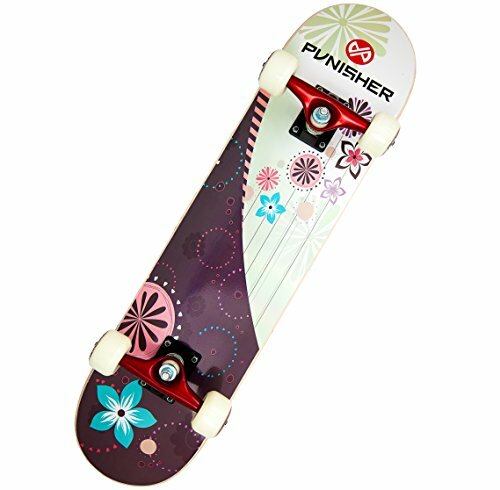 54x36mm PU Cast Ivory White Wheels with Punisher Skateboard Graphics. Full Color Graphics on one side and 80AB Heavy Duty Grip Tape on the other. No Assembly Required.